Gujarat High Court invites applications for the posts of Stenographer of 276 vacancies on its official website hc-ojas.guj.nic.in. 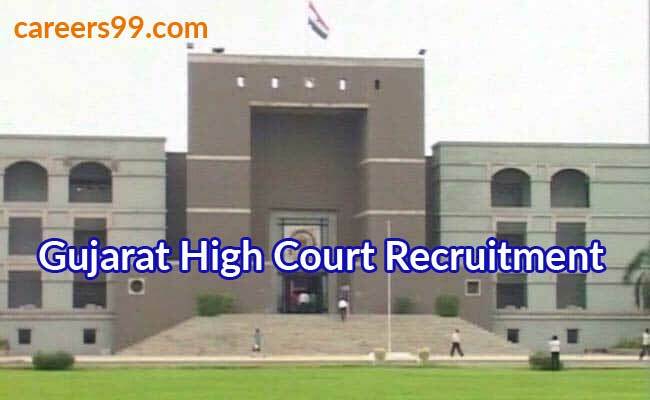 The details of Gujarat High Court Notification 2018 are available at careers99.com also. Interested and eligible candidates can Apply Online before last date of the Notification i.e., 31-08-2018. Education qualifications, age limit, selection process and other details are as follows.. Selected candidates will get English Stenographer Grade II – Rs.39,900 – Rs.1,26,600/- Gujarati Stenographer Grade II (Class-III) – Rs.39,900 – Rs.1,26,600/- by the Recruiting Organization. First of all, Open Official Website i.e., hc-ojas.guj.nic.in or Below Mentioned link from careers99.com Website.